Mitchell has been suffering quite a bit lately. We’ll spare you the details, but it isn’t pretty. It turns out the most recent transplanted kidney is the cause of these issues, so his medical team decided to remove it immediately. Here he is going into the OR bright and early this morning at 5:30AM. This is once again the face of bravery. The surgery went well with the exception of blood pressure concerns. His BP is being managed now by medicine drips and hopefully that will be under control soon. As expected, he’s also in quite a bit of pain post-op. On a positive note, money we raised from SAVE MITCHELL t-shirts went to an amazing cause. Previously Mitchell had been receiving dialysis 6 hours a day on an extraordinarily uncomfortable chair. It caused him neck and back pain to the point he was stuffed with pillows all over. 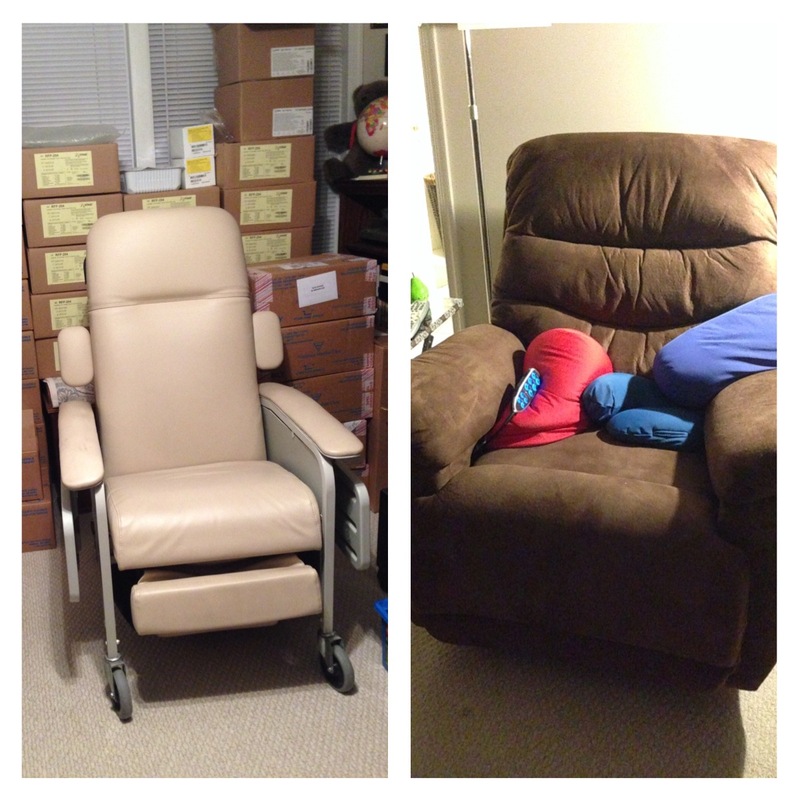 Last week though, he picked out a brand new La-Z Boy recliner chair, complete with a remote control. How cool is that?! The head and lumbar adjusts so he is no longer in physical pain while receiving dialysis treatments. 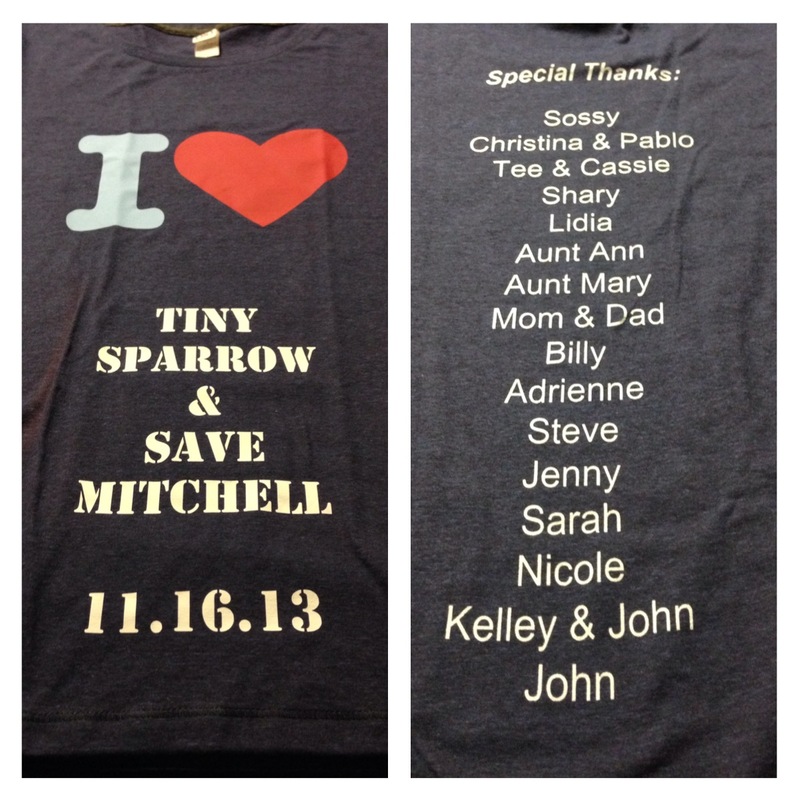 The timing of this surgery is bitter sweet because tomorrow I’m running a half marathon in honor of Mitchell, along with another non-profit called Tiny Sparrow Foundation. Just last night I dropped by a check for $500 to Mitchell & his parents, thanks to generous supporters of friends and family making donations. 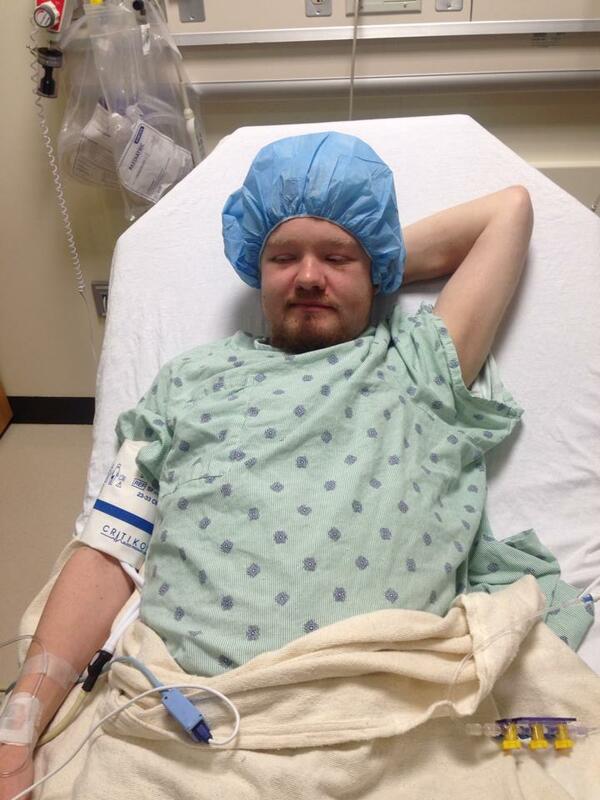 You’d never he was about to have major surgery in less than 12 hours. 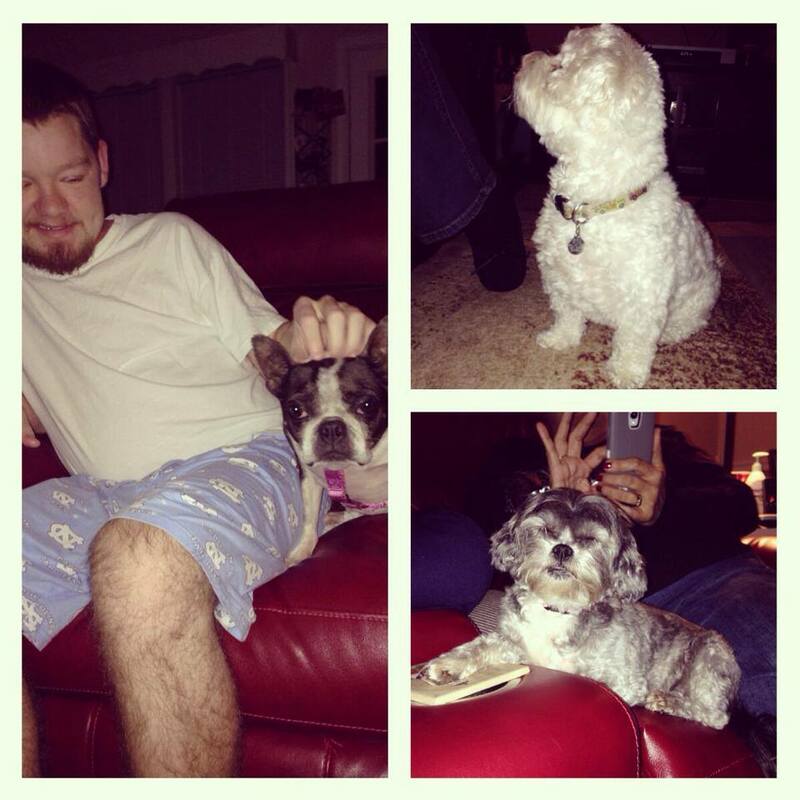 But then again, he was surrounded by super sweet dogs. 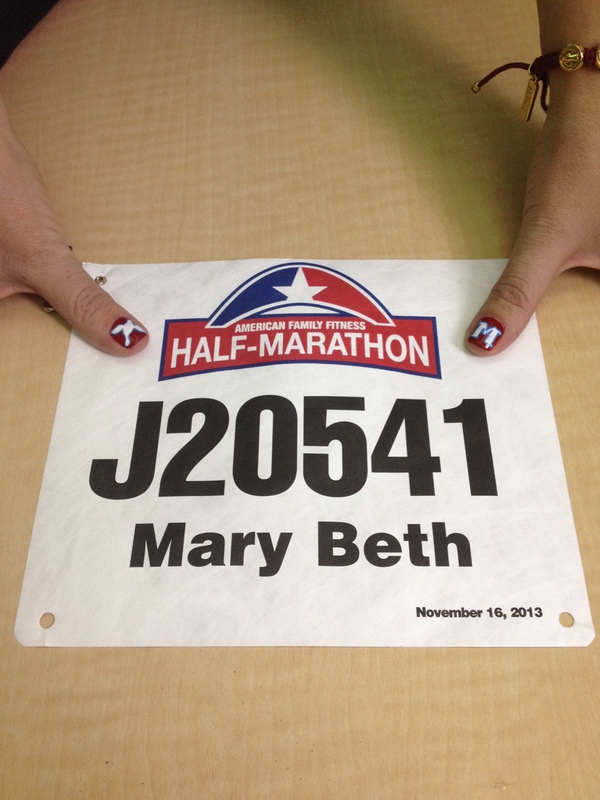 Meanwhile, in about 12 hours, I’ll be running for HOPE… and will never give up believing in miracles. Because love wins.